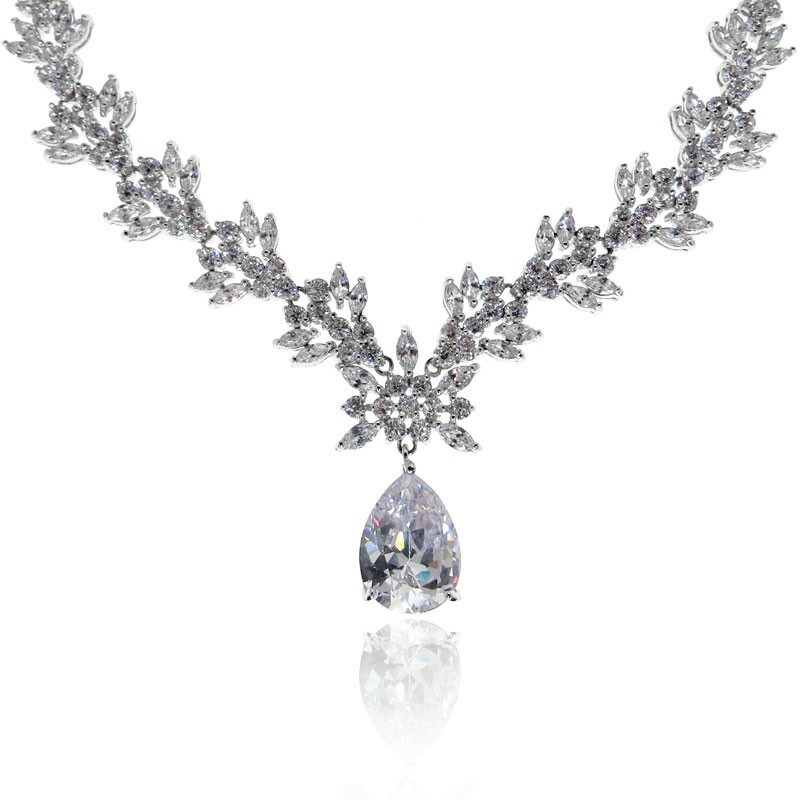 The beautifully crafted necklace features cascading delicate flowers formed with sparkling cubic zirconia stones, and finished with a twinkling pear-cut stone pendant. 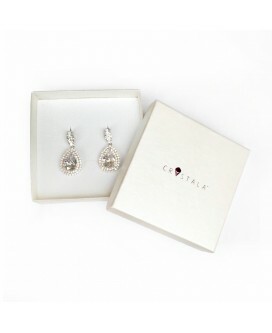 This classic jewellery set features a matching pair of dangling pear-cut drop earrings on a flower inspired stud. 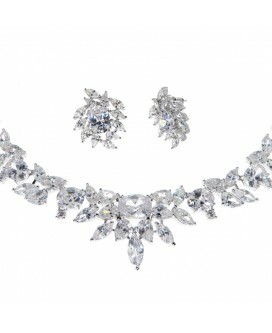 Suitable to wear with wedding or evening gown dresses. 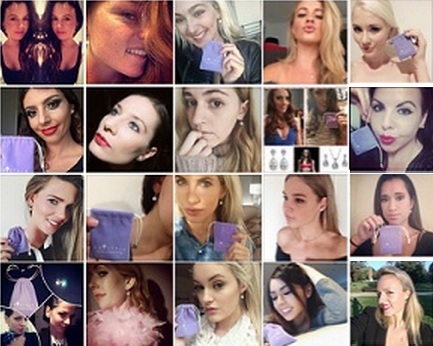 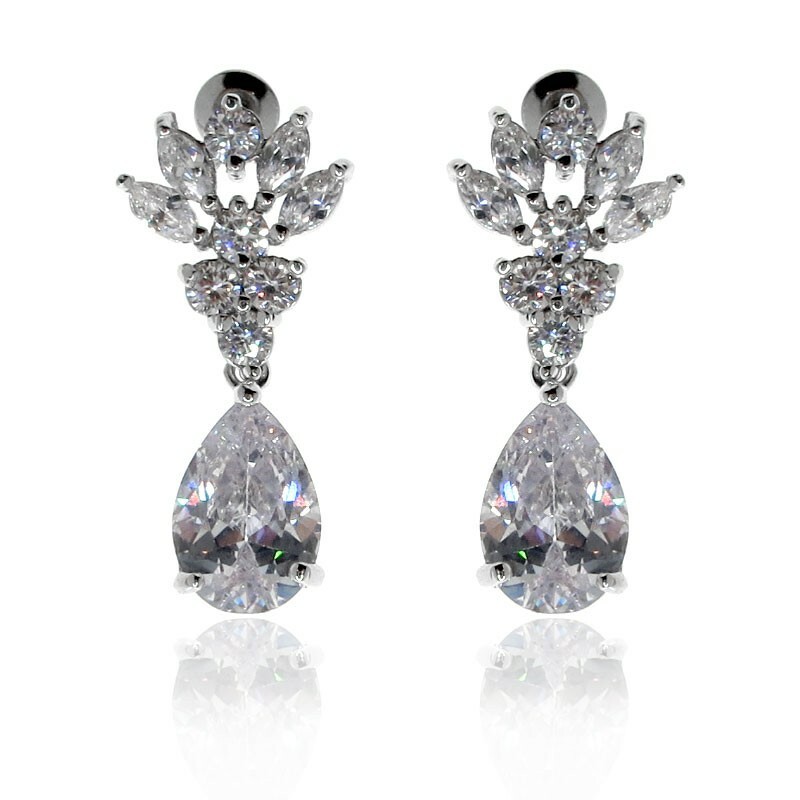 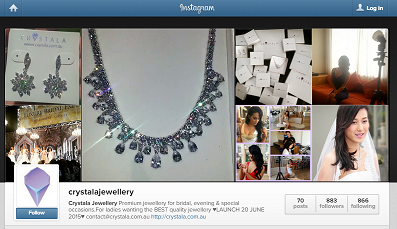 See our sparkly earrings on video! 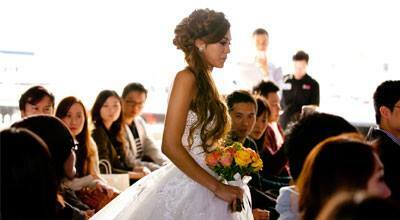 Taken by a mobile phone with no editing. 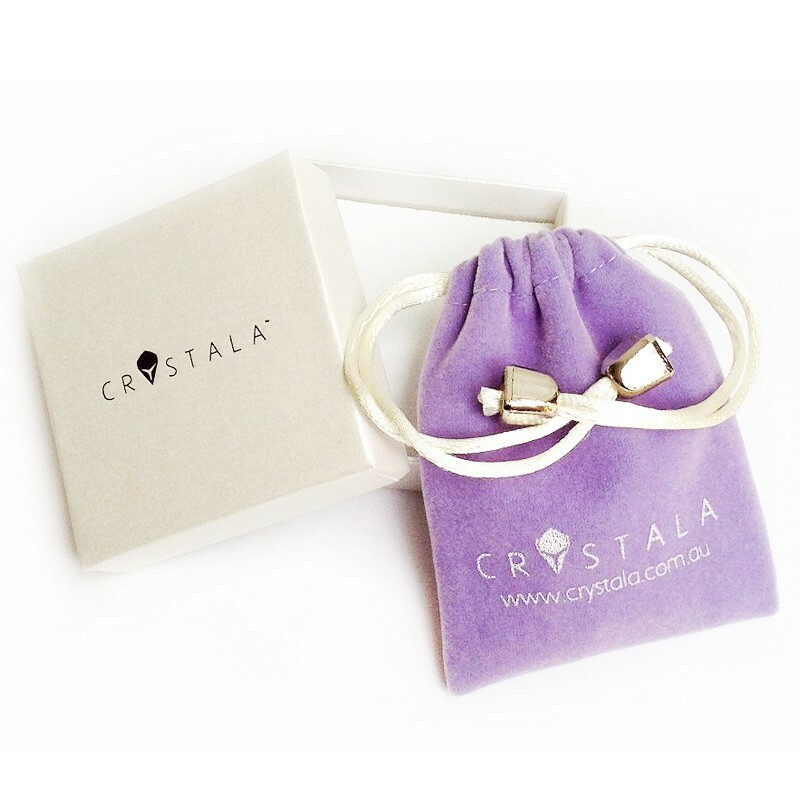 Note: Bracelet and Ring (shown in photo) is not included. 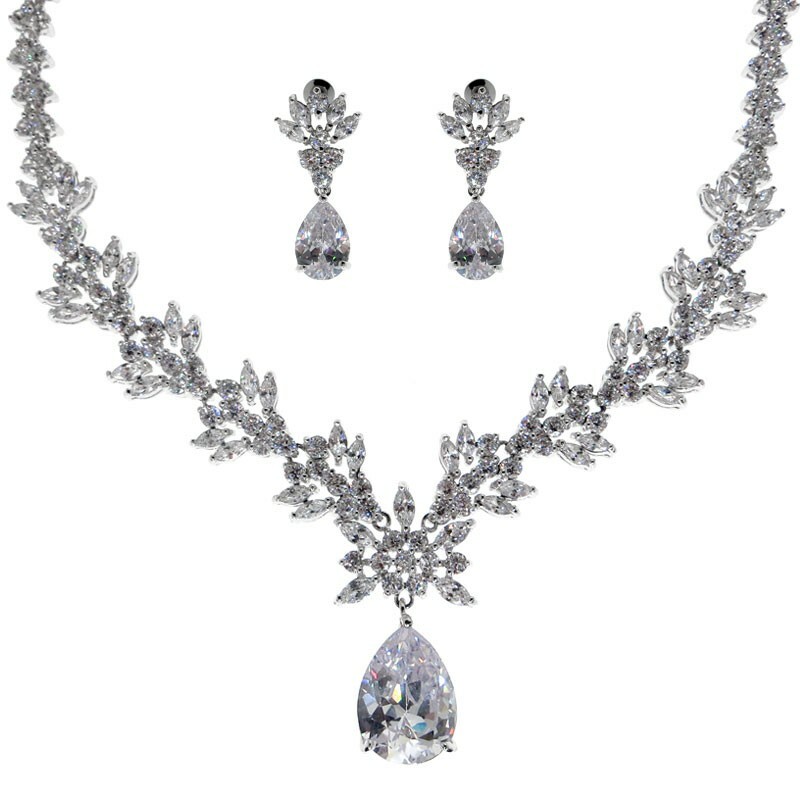 This necklace and earring set could be your very own lucky charm.The white gold plated pieces are designed as a series of entwined clovers with leaves adorned in sparkling round stones.Featuring multiple top quality AAA+ cubic zirconia stones with perfect cutting, pure colour, high clarity, and is multifaceted with maximum brilliance and shine. 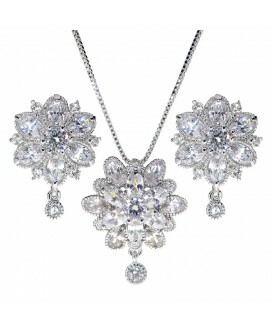 A spectacular pendant necklace inspired by the way sunlight reflects off snowflakes in the morning.The magical blend of floral design with cool motives create an enchanting piece of jewellery; as if the sunshine had been frozen into a flower-shaped snowflake, ready to burst forth with glittering light. 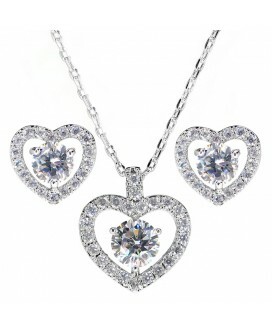 $158.00A glittering jewellery set which includes a matching halo necklace and a pair of stud earrings made of perfect Hearts and Arrows cut stones.The 'Hearts & Arrows' cut is known to be of excellent cut quality, with maximum shine, and you can even see the hearts and arrows through a specialised magnifying glass! This white gold plated jewellery set is the perfect sparkle accessory for a bridal or evening dress.The simple yet glamorous choker necklace and earrings set looks and feels like real diamonds! 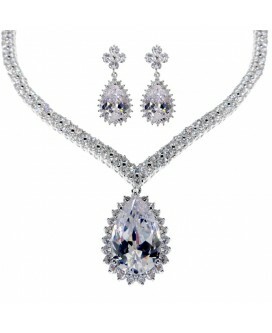 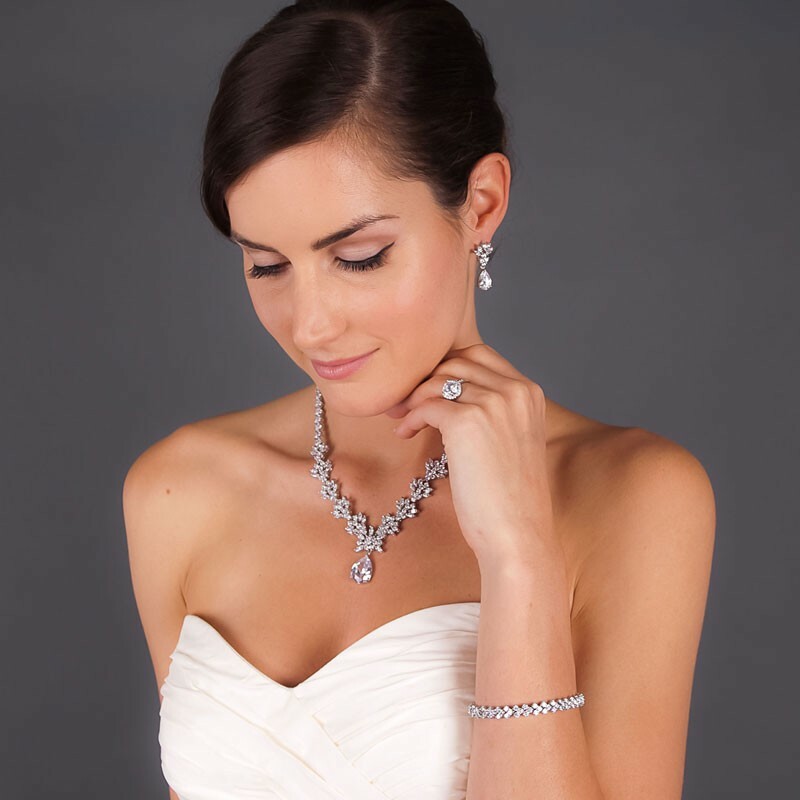 This exquisite necklace is made entirely of sparkling cubic zirconia stones and showcases a majestic pear-cut pendant. 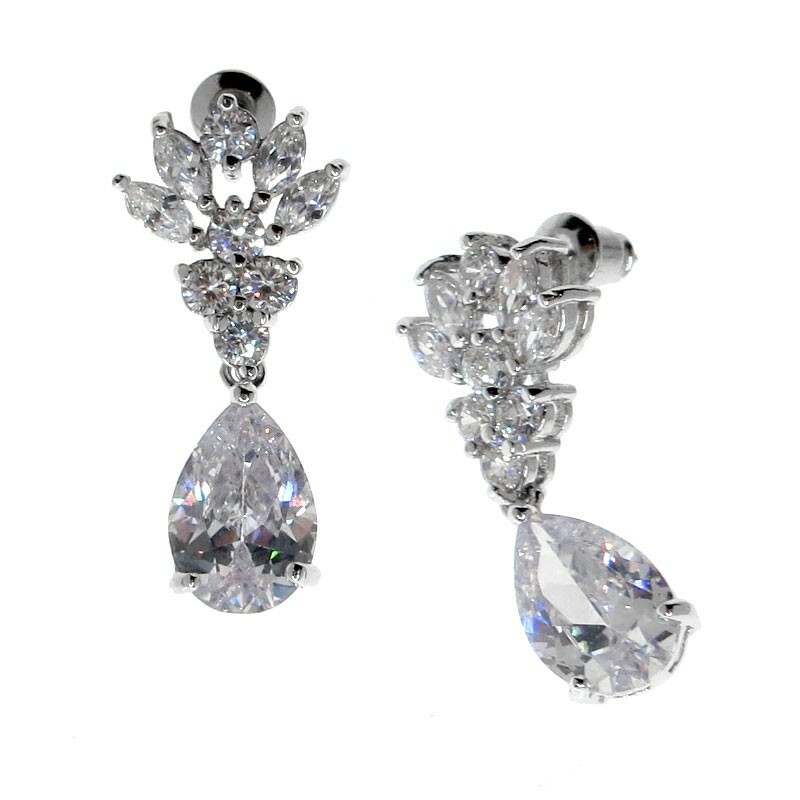 The glamorous piece is complemented with a pair of matching earrings.The pair of pear-cut cubic zirconia stones dangle from a charming four leaf clover shaped stud. 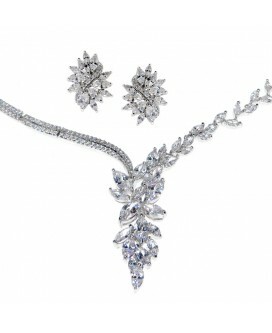 Inspired by Roman goddesses and crafted to fit the modern beauty, this stunning jewellery set features a dramatic pair of glistening leafy earrings and a matching necklace with a unique asymmetric design. 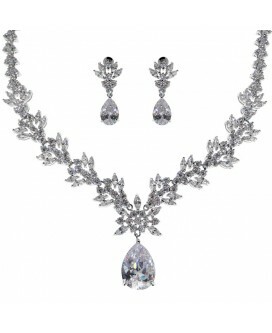 Decorate your neckline with an exquisite choker necklace made of a strand of paved glittering cubic zirconia stones.Simple yet elegant, the necklace is designed for those who likes a classic style subtle necklace, enough to sparkle under the lights but not a huge statement piece. 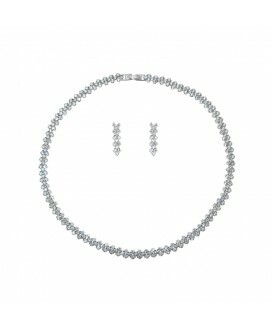 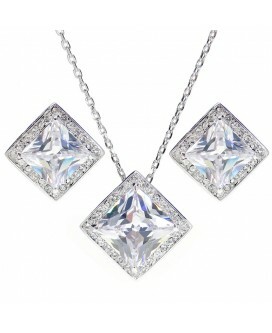 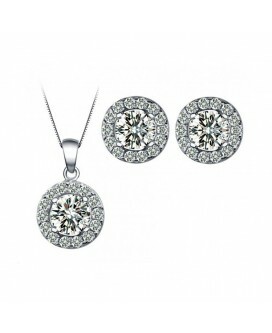 A white gold plated earring and necklace set that stands out due to its modern design and unique craftsmanship.